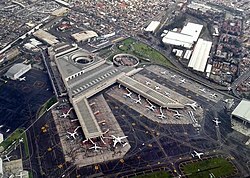 Operating near the limits of its capacity, calls for replacing the airport were announced in September 2014, with the proposed location to be built 16 kilometres (9.9 mi) north-northeast of the current airport, east of Ecatepec. In January 2019, construction of the new airport was cancelled. The airport as seen from an aircraft in 2011.
aerial view of the airport before the construction of Terminal 2. The airport has suffered from a lack of capacity due to restrictions on expansion, since it is located in a densely populated area. 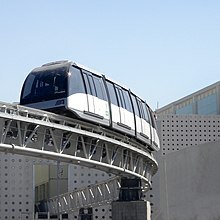 In 2014, Mexican authorities established and declared a maximum capacity of 61 operations per hour with a total of 16 rush hours (7:00 –22:59). Another issue with the airport is the limitation that its two runways provide, since they are used at 97.3% of their maximum capacity, leaving a very short room for new operations into the airport. Only government, military, commercial, and specially authorised aircraft are allowed to land at the airport. Private aircraft must use alternate airports, such as Lic. 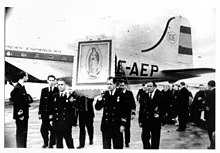 Adolfo López Mateos International Airport in Toluca, General Mariano Matamoros Airport in Cuernavaca, or Hermanos Serdán International Airport in Puebla. Architect Fernando Romero and the scale model of the New Mexico City airport. Construction will take eight years and depending on the source, is estimated to cost 120 or 169 billion Mexican pesos, about 9–13 billion U.S. dollars. 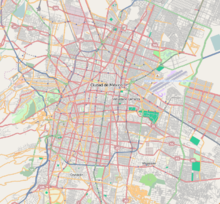 It will be built on land already owned by the federal government in the Zona Federal del Lago de Texcoco, between Ecatepec and Atenco in the State of Mexico, about 10 km northeast of the current airport. Terminal layout after T2 was built. External facade of Terminal 2. Terminal 2 - Departures waiting area. Terminal 2 - Display screens. Terminal 2 - Hall L3 Check-in counters. American Airlines Boeing 737-800. The airline operates 105 flights per week to 5 destinations in the U.S.
^ "Directory: World Airlines." Flight International. March 16–22, 2004. 50. 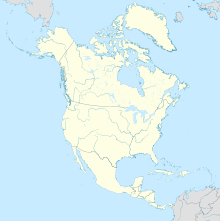 "Hangar 7, Zona "D", Terminal de Aviacion General, Col Federal, Mexico DF, 15620, Mexico"
^ "Delta adds Minneapolis – Mexico City service from June 2019". Routes Online. December 2018. Retrieved February 24, 2019. 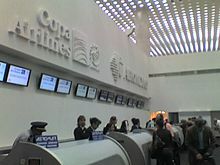 ^ "Viva Aerobus anpunces new flights to Cuba" (in Spanish). EnElAire. April 2019. Retrieved April 3, 2019.